Medtronic has announced the Australian launch of its hybrid closed-loop insulin pump system that works like an artificial pancreas for people living with type 1 diabetes by continuously monitoring blood glucose levels and automatically adjusting the delivery of insulin to maintain it in a healthy range. Type 1 diabetes is an autoimmune disease where a person’s pancreas stops producing insulin. Insulin is a hormone that converts sugar into usable energy. It can impact both children and adults at any age and has a significant negative impact on quality of life. With Medtronic's MiniMed TM 670G, a sensor is inserted under the skin and monitors glucose levels, sending the data to the pump every five minutes. The system then calculates the amount of insulin needed and it is automatically delivered based on the glucose sensor readings. The technology requires minimal input. People living type 1 diabetes only need to enter mealtime carbohydrates, accept bolus correction recommendations and periodically calibrate the sensor. St Vincent’s Hospital Melbourne Endocrinologist Professor David O’Neal, who was one of the first Australian researchers to trial the device on local patients, described the new device is a "game changer". 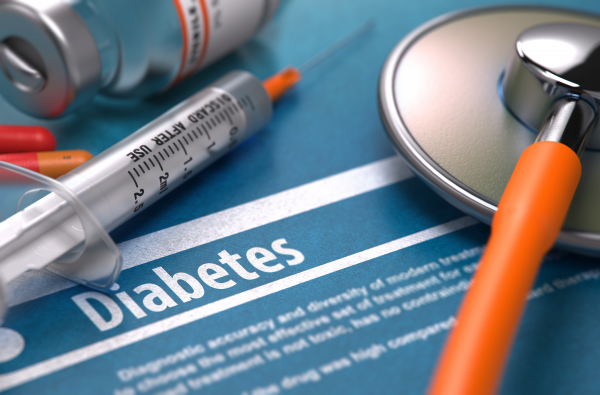 "The goal in treating type 1 diabetes is to keep blood glucose levels as close to the normal range as possible which can be difficult to achieve," said Professor O’Neal. "A measured, constant supply of insulin is required because it is no longer being produced by the pancreas. "While the new device does not represent a cure for diabetes, it does have the potential to significantly improve control of glucose levels, reducing damage to the body resulting from unstable glucose levels and improving the quality of life of people with type 1 diabetes." Diabetes Australia CEO Professor Greg Johnson said the new technology could help to ease the day-to-day challenges for 120,000 Australians with type 1 diabetes. "Type 1 diabetes is relentless," said Professor Johnson. "It often requires multiple daily calculation, measurement and administration of insulin to account for changing carbohydrate intake and other factors. It can be very difficult and intrusive in people’s lives. "This hybrid closed loop system is the first approved device in Australia to help automate the management of both potentially harmful ‘highs’ and ‘lows’ in blood glucose levels." Leanne Foster is the first Australian to be fitted with this commercial device. Ms Foster, 48, who has had type 1 diabetes for 37 years, was previously fitted with a trial version of the device. "For me the big bonus was that I slept restfully through the night so I woke up refreshed and able to be my ‘best’ me," said Ms Foster. "This device means I spend less time thinking about my diabetes and less time responding to, and recovering from, highs and lows. "I’m clear headed during the day and can go about my daily activity without having to factor in diabetes to every activity."